This recipe is a little bit sweet, a little bit sour – just like me. 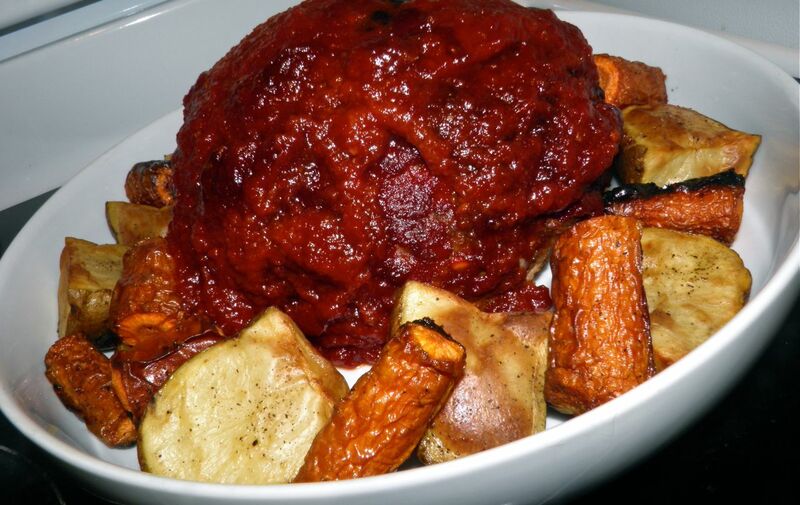 Have you ever heard of a sweet and sour meatloaf? We took this to a birthday party a week and a half ago. It went a long way among many people. Sweet & sour meatloaf... it borders on "junky" (North Americanized) Chinese food. Or at least is related to it in a very strange bastardized North American way. 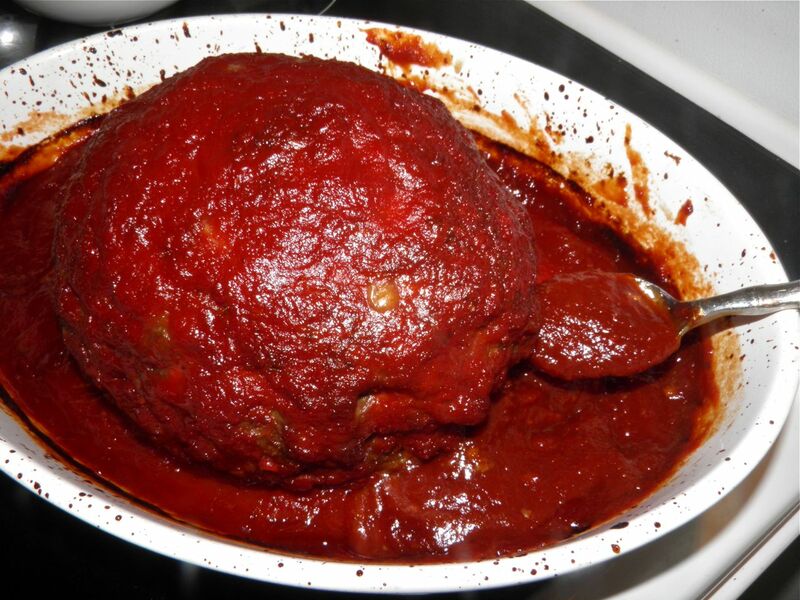 My family makes kind of a version of this for meatballs. I had some pork roast on the refrigerator and some lean hamburger. So why not make a meatloaf. Never fear if you don't have ground meat. It's very easy to "grind" your own in a food processor. It only takes a minute or two, and that way you know exactly what ratio of meat to fat goes into your loaf. It does need some fat to come out right. If you grind your own meat you have complete control. I think it's a little cheaper, too. Check the per kilo (or pound) price the next time you go to the grocery store. If you don't have at least some fat there's a real possibility of ending up with a dry lump. If you cook it too long you can have the same problem. There's a secret kitchen weapon you may have heard of… the thermometer. We really should all have one, two, or even three different kinds and use them often. I say three, because an instant read thermometer does one sort of job very well, an oven-proof thermometer does another and a clip-style candy thermometer is great for liquid temperatures. Thermometers take the guesswork out of cooking. You can read the internal temperature of roast, or whatever you're making, to ensure you know that sweet spot between "done" and "inedible." I find a candy thermometer indispensable for measuring the temperature of liquid for proofing yeast. I would be throwing out a lot of bread if it wasn't for that tool. After the first half hour. And you have to agree, there's nothing nastier than undercooked –or overcooked – meat. That tell-tale pool of pink-tinged liquid on your plate when you cut into underdone chicken is enough to put you off your kibble. Cooking thermometers can be used for so many foods besides checking for doneness. There are certain bacteria that are killed above specific temperatures. That's why certain cuts of meat have very exact temperatures to reach for safety. Salmonella and E. Coli are two bacteria that we all know by name. Undercook, you risk food-borne illness. Overcook and you risk a not so tasty meal. If you don't currently use a thermometer, you should get into the habit. We all should. But a thermometer does so much more than just measure interior meat and liquid temperatures. I was actually amazed when I found the following. If you want to know all about meat thermometers, doneness temperatures and even how to use thermometers, here is a 100% Docaitta-endorsed Link. Unbelievably valuable stuff. Bookmark it. But back to the meatloaf for one second. Use some fat. Don't be afraid. I know everything is now supposed to be lean and fat free, but if you don't use at least some fat you won't be happy. You won't be happy at all. In a large bowl, combine the beef, pork, bread crumbs, eggs, salt, onion, garlic, salt, pepper and half of the Chinese five spice powder. Mix together well with your hands. 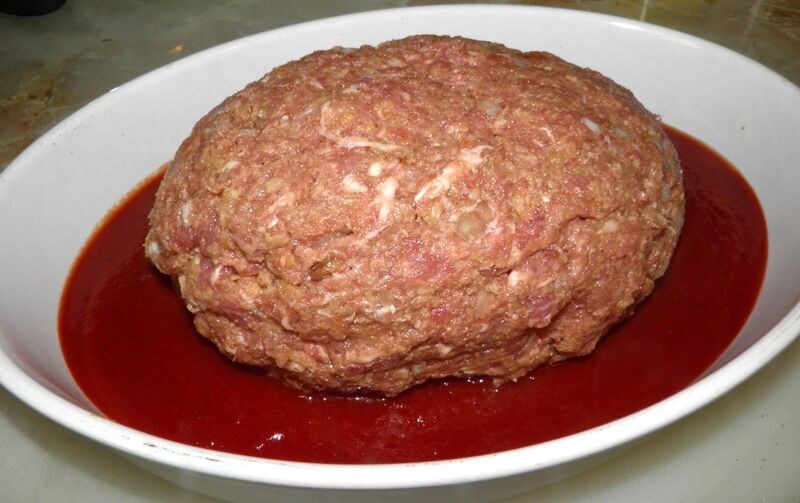 The longer you mix the "smoother" the consistency of your meatloaf will be. Combine the crushed tomatoes, both sugars, vinegar and remaining Chinese five spice powder. 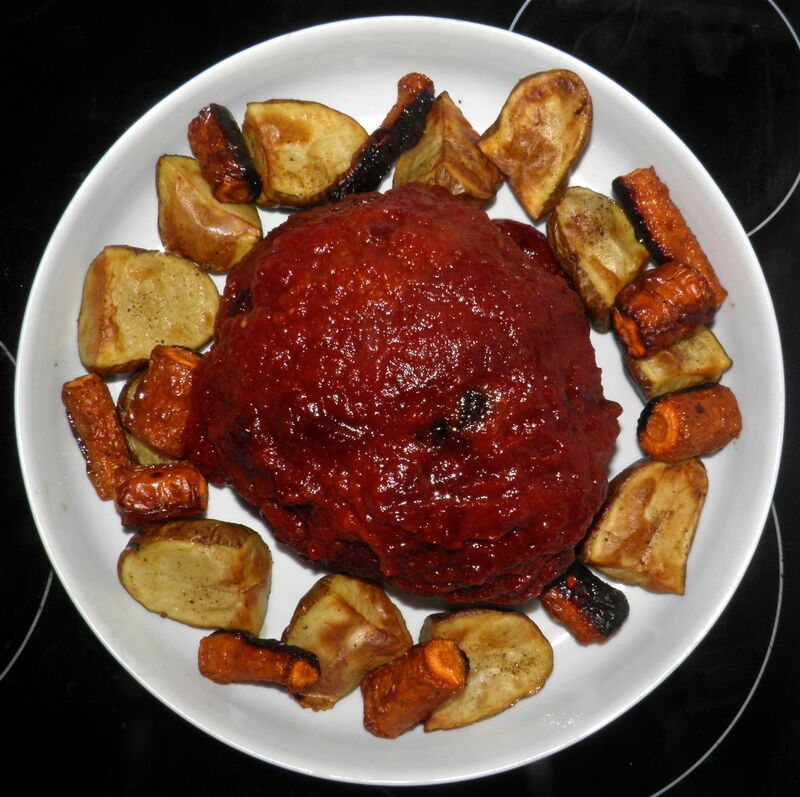 Bring to a simmer in a saucepan and let cook for 5 minutes. The sauce should be fairly smooth. Taste for salt. Adjust as desired. Place half of the sauce in the bottom of a baking dish big enough to accommodate the meat, but without too much room. Shape the meat into an oval, taking care that it doesn’t taper on the ends like a football. (These ends may overcook if you do so.) Place the shaped loaf in the pan. Sprinkle with some more five spice if desired. Let the meatloaf rest for about 5 minutes before slicing. Or let cool and then reheat, tented with foil. * Since the oven's already on, roast vegetables for accompaniment.